Aside from getting out in the boat I still find time to indulge in an hours LRF a few evenings a week. As with most of the fishing in my part of the world it is still early for the host of mini-species available to the LRF angler at this time of the year but nevertheless I can't help myself and with rod, reel and a small amount of lure I will wander around the harbours trying to add to my yearly species tally. 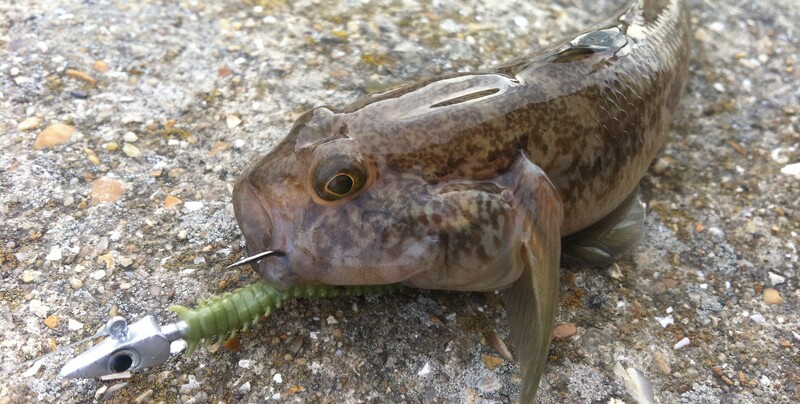 Gobies are standard fare all year round and they provide a bite when nothing else is happening, they will also drag you into a 'Goby hole' very quick so in order to avoid losing plenty of expensive jigheads you need to keep alert. When the water warms a touch Gobies, Blennies and the like will attack lots of lures but I tend to start with Power Isome worms to see what is around before I vary my approach. Where possible I use 1 gram heads with hook size down to 8 or 10 and pop the worm along the bottom until something becomes interested, this wont only account for tiny stuff of course many big Wrasse along with Pollack, Pout and even Mackerel at the right time of year will inhale an Isome as well as pretty much anything else that swims but April LRF is for me all about getting my eye in and if I can add to my species tally all well and good. In a session over the weekend I could not scratch a new species but was more than happy to catch these little Gobies for a few hours. 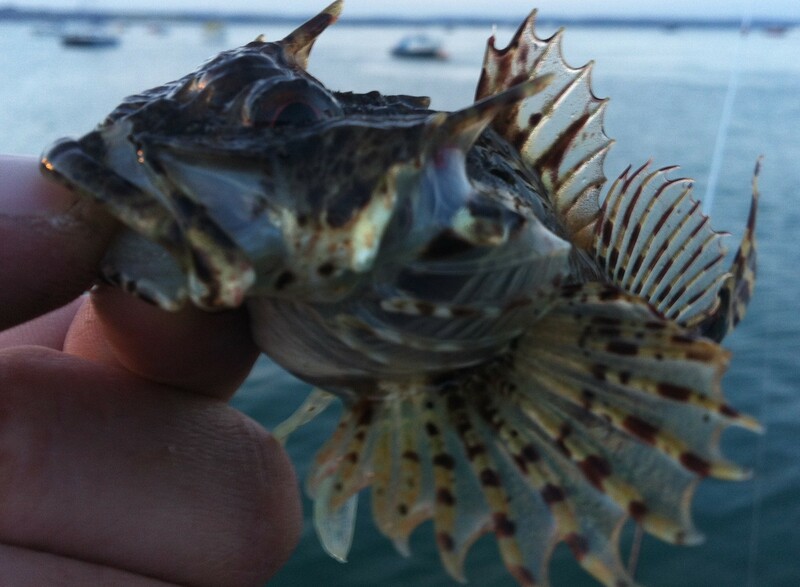 One of favourite fish to catch on LRF is the Scorpion fish, proper little predators these and maybe the best looking fish in my opinion. As yet I can't find a short-spined Sea Scorpion but its smaller long-spined cousin is plentiful. I took this one while using an Ecogear Aqua Katsu Aji lure on 2 gram jig during an evening session in Langstone harbour, I try to vary what worm type lures I use and despite not being sold on these little worm plastics straight away I found a more erratic movement is required to stimulate a take and since they have accounted for lots of fish. I am going to give LRF a rest for a week, there is stacks of weed around and the high winds make it tough so I hope to get out again next week and find something new. I am off to Torquay over the weekend complete with rods so maybe fishing a few miles west will pay dividends and I can add to my thirteen species so far this year.